This short cycling trip travels along the quiet back roads around West and East Marin to the County’s northern border with Sonoma County. 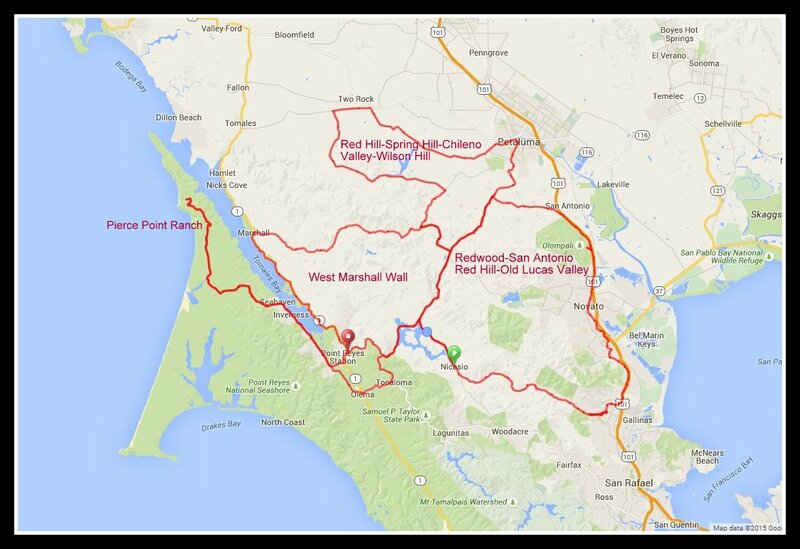 Explore the expansive Pt Reyes National Seashore with a ride along Pierce Point Rd to the Historic Pierce Point Ranch. You may even spot the magnificent herds of free roaming Tule Elk around the parklands at Tomales Point. Enjoy the picturesque agricultural communities and open spaces and soak in the gorgeous scenery around Marin! We street camped on Miller Creek Rd in Marinwood.